Jailhouse modding Kailh Speed Gold stems creates a tactile feel with a high actuation point and shortened travel (some may find this undesirable). 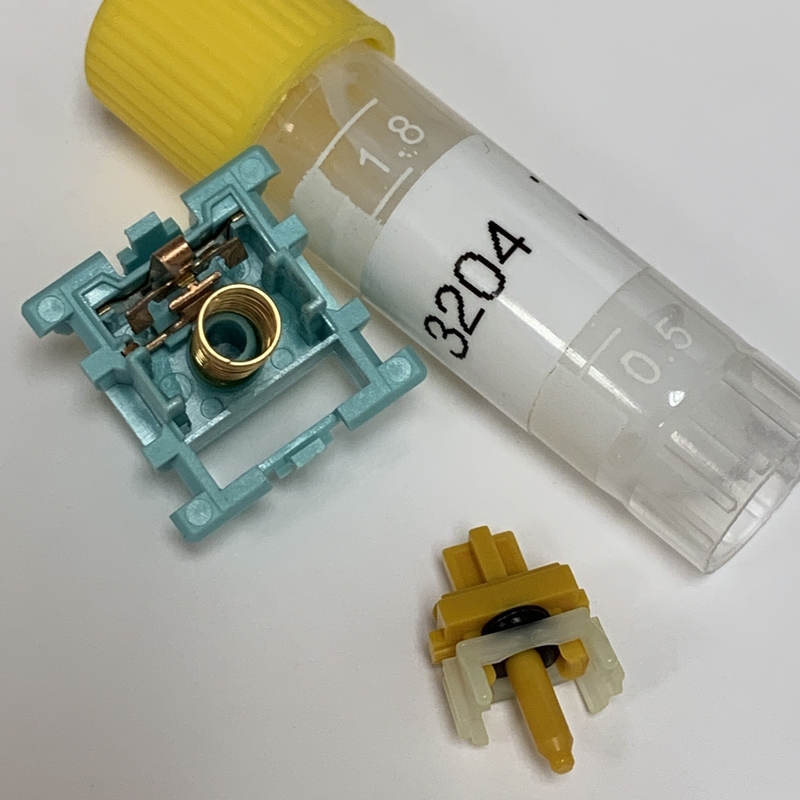 The o-ring fills some space above the spring, so the 45g spring may not be the actual spring weight, since it’s compressing in a shorter area than normal. Outemu Sky Teal housings are nylon 66, but I’m unsure if this will act as a lubricant as the switches wear over time or if it will wear and make the switches feel smoother. How do these compare to regular MX Blues or J-Spacer JHB mods? The actuation point on speed golds is higher, so it’s similar to a higher actuation jailhouse blue. What o-rings did you use? They come in pack of 1,000 and are actually oversize for the jailhouse mod. I basically wedge them into the stem with tweezers and the stem clicky part will clip in place and squish down the o-ring. They do flex the plastic on the clicky part of the stem very slightly, but I’ve never had problems using them. You can tell where it’s squished in the picture below, it barely extends past the switch stem - which hasn’t been a problem with switch fit so far for me. 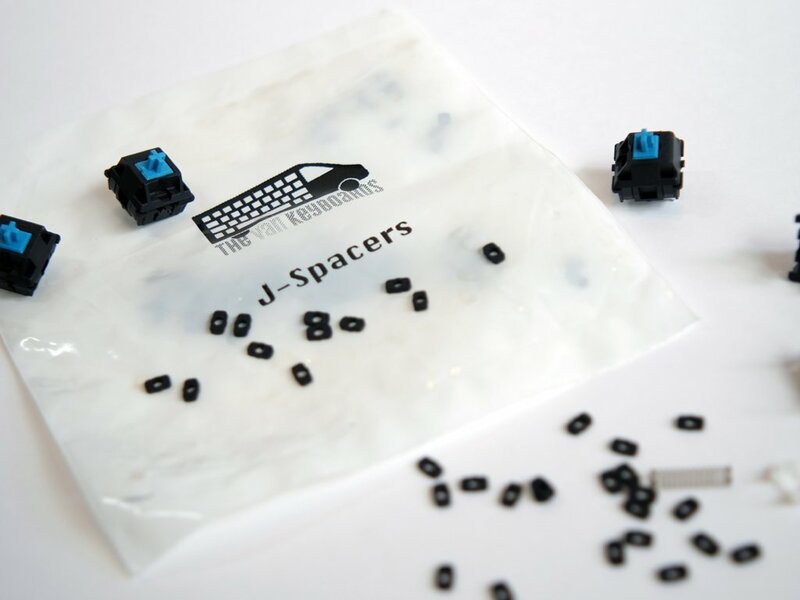 You can also buy J-spacers from The Van Keyboards. Pack of 110 JSpacers. 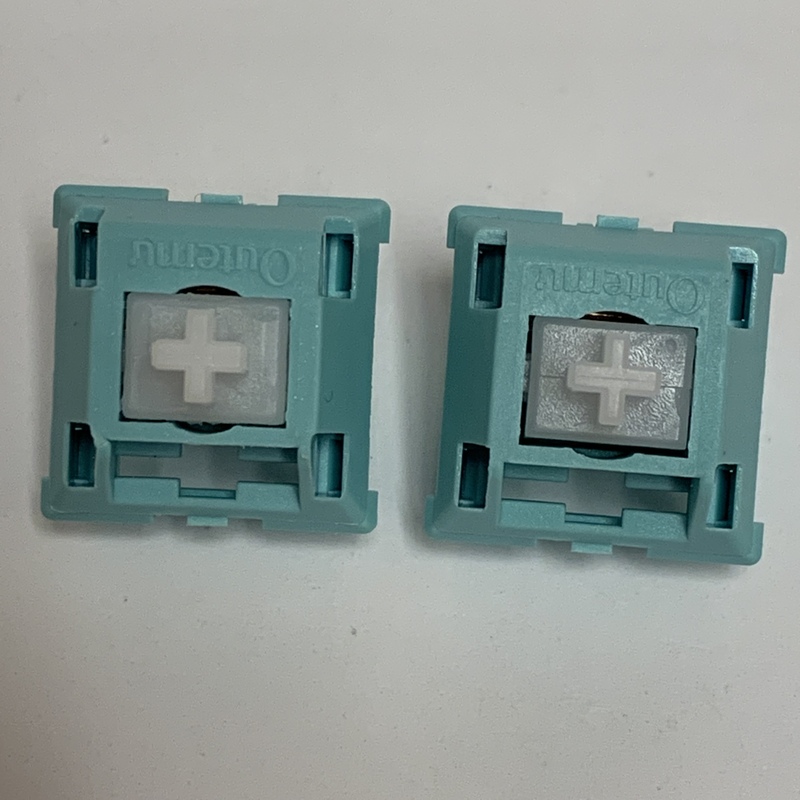 These spacers are designed specifically for the jailhouse mod which silences the click on clicky MX switches (blues and greens). The J-spacers are specifically for jailhouse mods and are shaped perfectly for fitting around a clicky stem. If you’re needing to buy something already, the J-spacers would be great, I still have nearly 1,000 o-rings to use up though. Don’t care what they feel like… These are gorgeous. I’m quite fond of the Outemu Sky teal housings - not sure if you could put Halo stems in them, I want to say I tried Cherry stems and they didn’t quite work, but I’d imagine Kailh stems should all work. 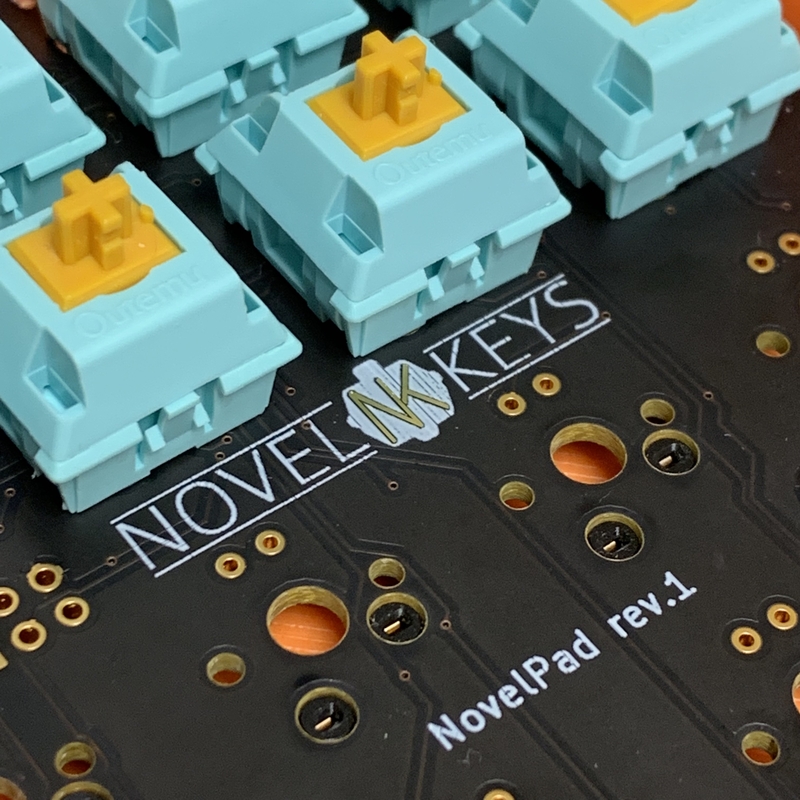 At the rate Novelkeys seems to be putting out switches, I’d love to see Box Royals with nylon housings - that may be my ideal switch. 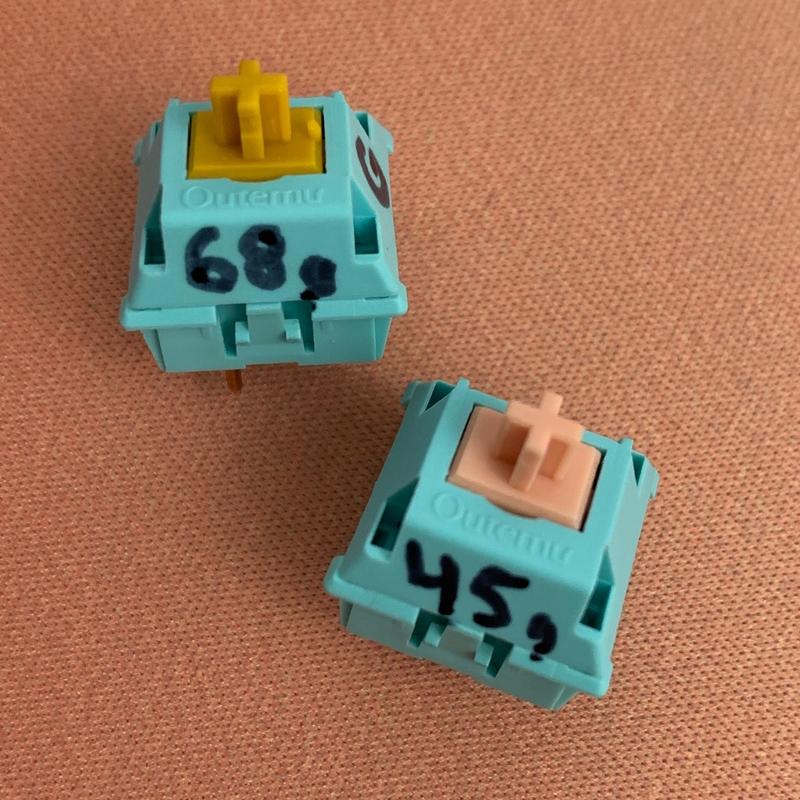 I do like the idea of the stem and housing color complimenting each other and I actually like the shortened travel on jailhouse modded switches, so I’m going to finish a 60% with these switches and see how they do under heavier use. I suppose I need to order some clear Halo switches and see if I can make Clear Sky modded switches (True Skies, Holy Skies, idk…)? Perhaps that will be next on my build list. I’m not sure if the Trues and Clears are different stems, but I ordered some Halo Trues from Massdrop, so we’ll see how those fit. Edit I also wanted to add, has anyone taken apart Outemu Skies with a tool that makes it easier? I’m using the Mechanicalkeyboards.com switch opener and a pen knife, but it still is quite hard to do because the nylon flexes differently than a standard switch housing. I just ordered some skies and I was planning on trying Cherry clear sliders or possibly green tech brown sliders. Let me see if I can find a Cherry Clear switch spare and I’ll try to update with how or if it works tomorrow. Nice. My one concern is that Clears would be scratchy but I’m not sure whether the scratchiness of Cherry Clears comes from the slider or the housing (or both). Aren’t the Sky stems basically the exact same as Cherry Clears? They’re close. I think Sky stems have more tolerance within the switch body and the stem cylinder is tapered more. Cherry Clear mod is on the left and stock Sky is on the right. My one concern is that Clears would be scratchy but I’m not sure whether the scratchiness of Cherry Clears comes from the slider or the housing (or both). 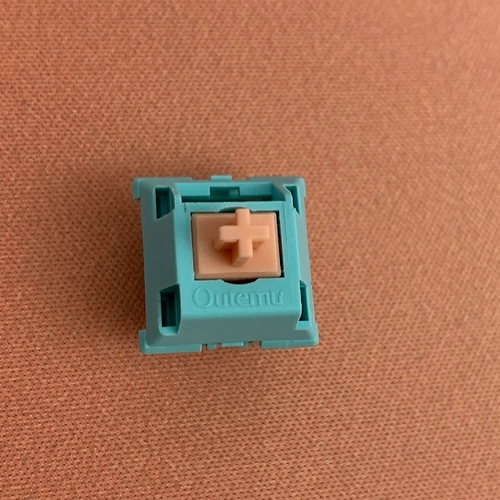 If you’ll PM me an address I’ll send you this Cherry Clear Sky switch to try out. It’s a Cherry Clear stem and spring and Sky housing with 3204 lubricant. Tried the jspacers in the Kailh Golds - the squish is even worse. Got any Kailh Sages on hand to tell me if the squish is any less of an issue? I don’t mind parting with 100 of the o-rings I used for mine if you want some - I still have a several hundred. They are squished though in the gold stems, so maybe that’s not what your looking for? Only solution I could see is finding smaller o-rings, I ended up ordering a few different batches online until I found some that fit. Maybe measure with calipers and try to order closest to that size? Yeah, I might go looking for that. I just have a bunch of Golds with the Halo housings sitting around and I need to do SOMETHING with them. I think the Sunny Sky Switch may work better with a regular Kailh Speed Gold Stem leaving it as a clicky switch. It has a nice feel with a 68g spring. Also, I got some Halo Trues finally (arrived today) so there’s a 45g and 68g I decided to try out with the Outemu housings. im gonna try this. thanks for the inspiration. 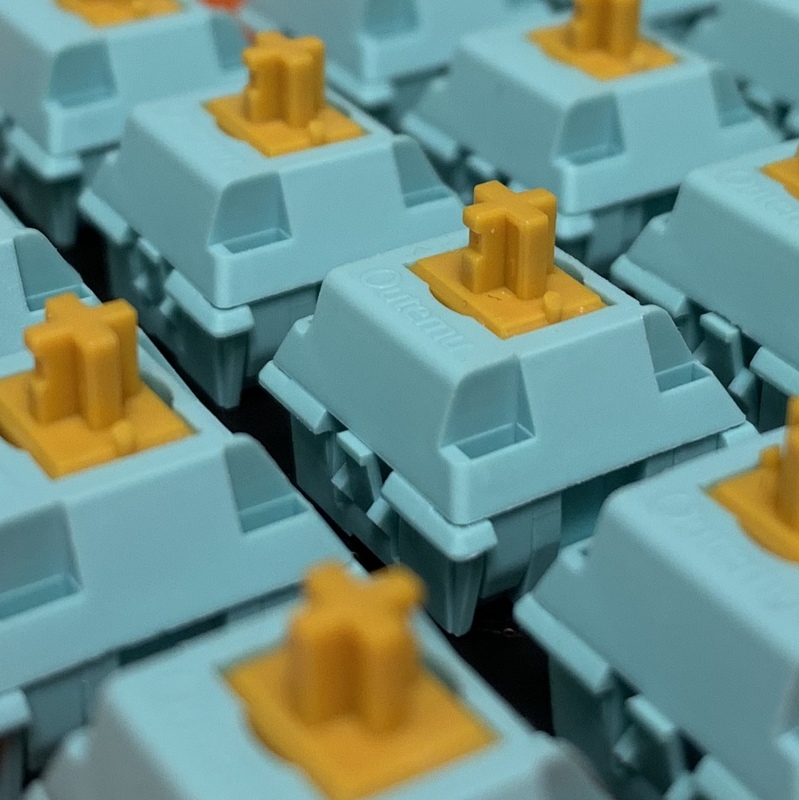 I have been noticing some switch wobble with the outemu sky housing. Does performing this mod help lower the wobble? 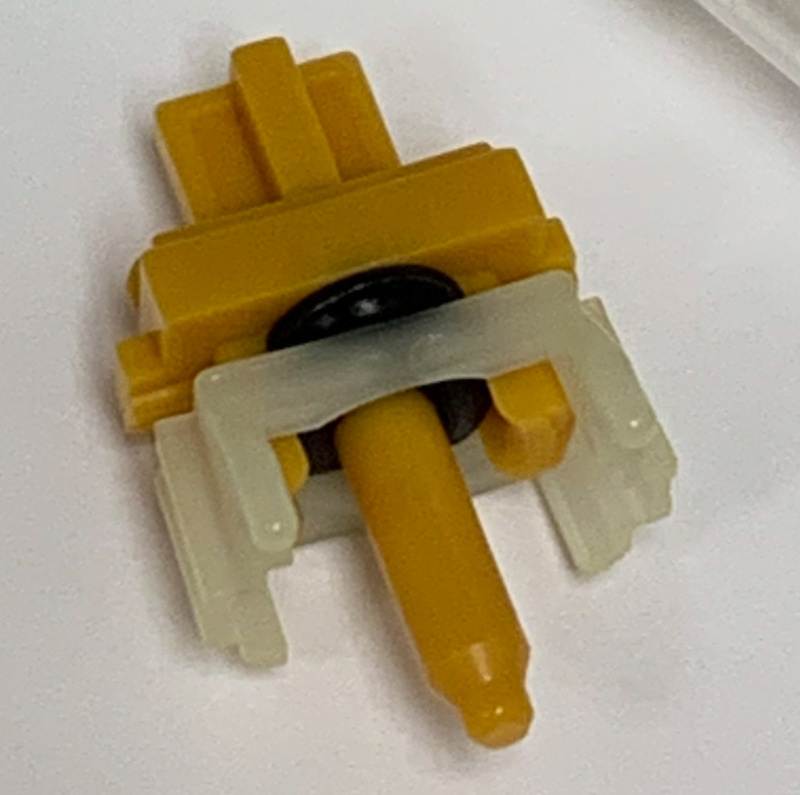 You can place switch films/ stickers between the top and bottom housings to reduce wobble a bit. It improves the sound of the switch as well as the consistency.